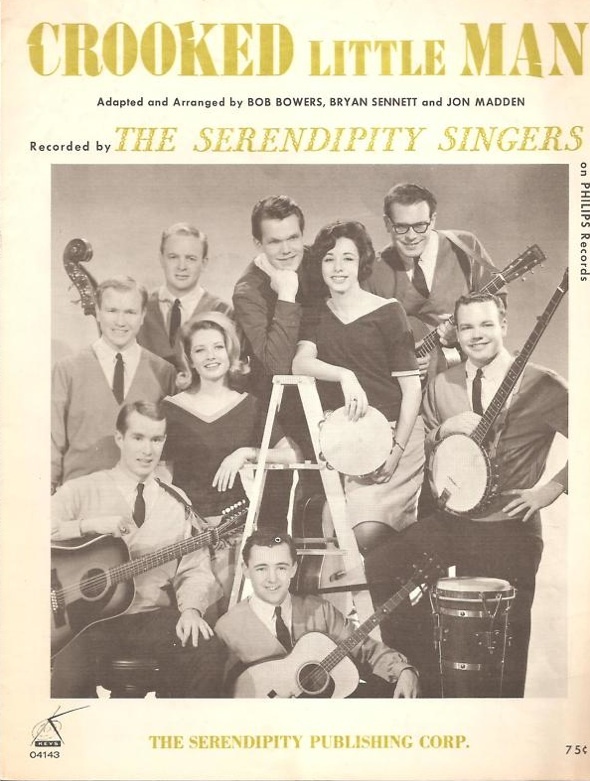 A mostly University of Colorado student group who hit nationally. 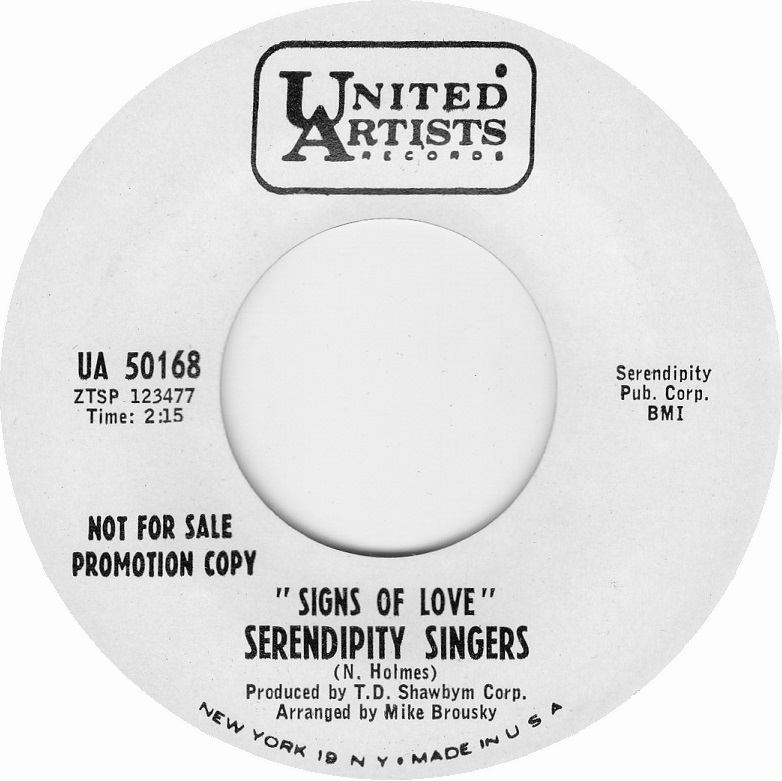 They were promoted locally by Jack Kaufman, the owner of Harmony Records who became known as the trumpet playing taxi driver. 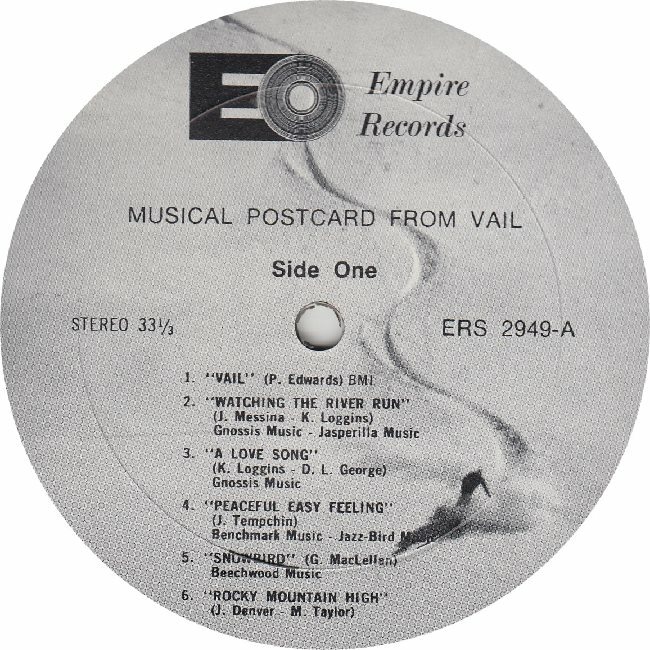 Kaufman’s store was located in downtown Denver next to Woolworth’s and he featured rhythm and blues discs. 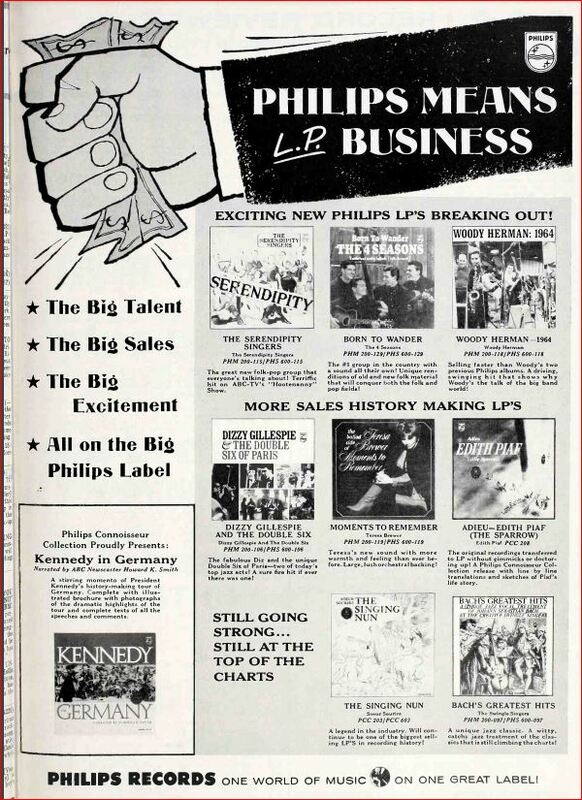 He distributed in the local area for Philips Records, King Records and a few others. 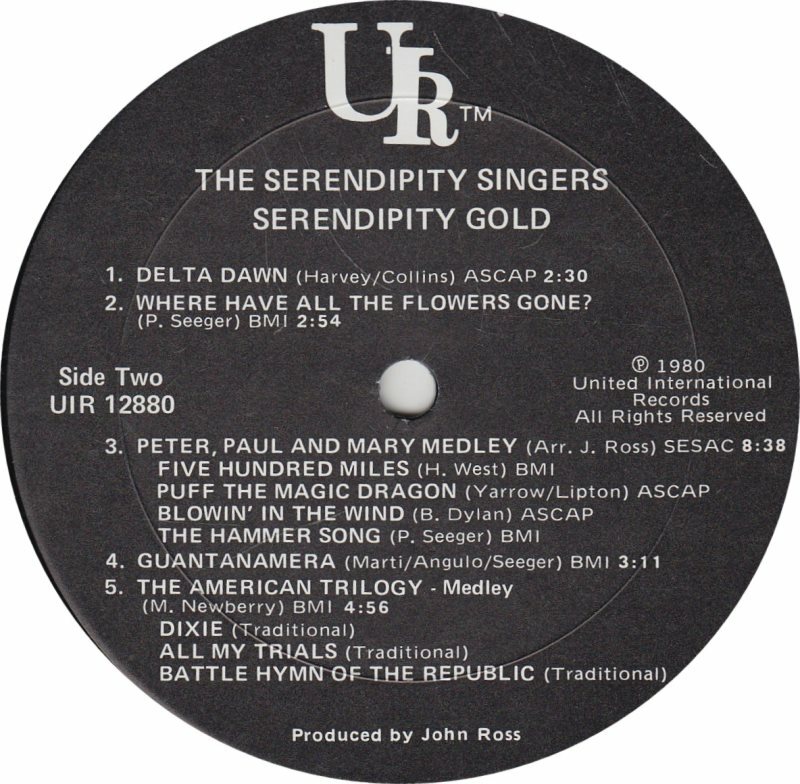 Many members of the original group were formerly with The Newport Singers from C.U. 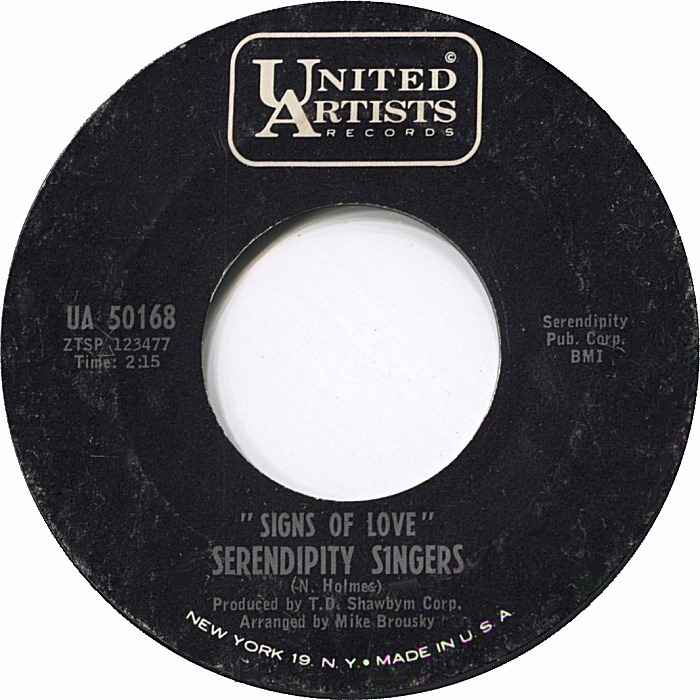 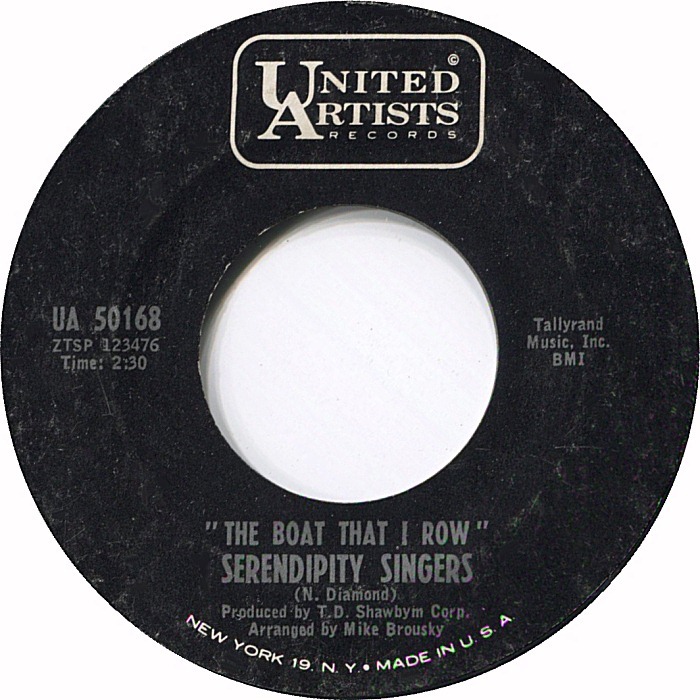 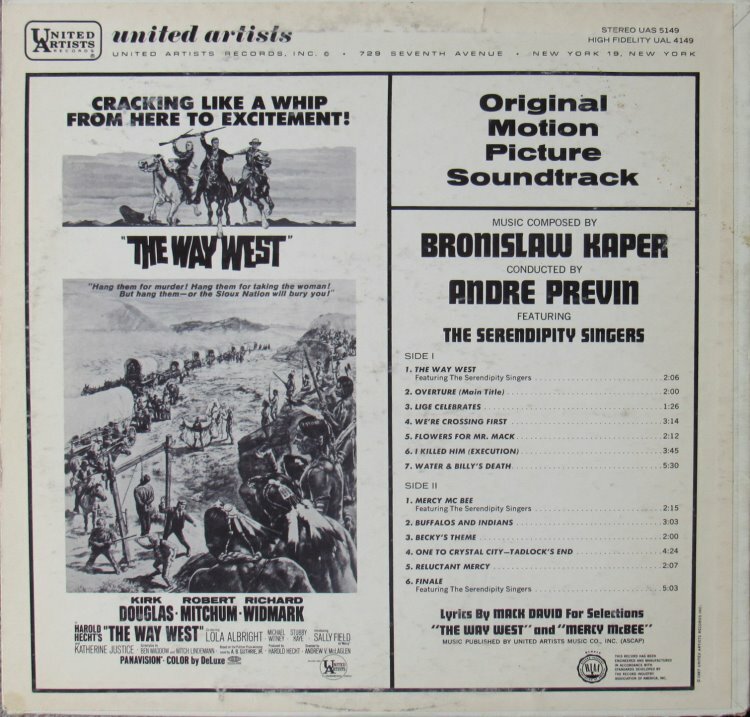 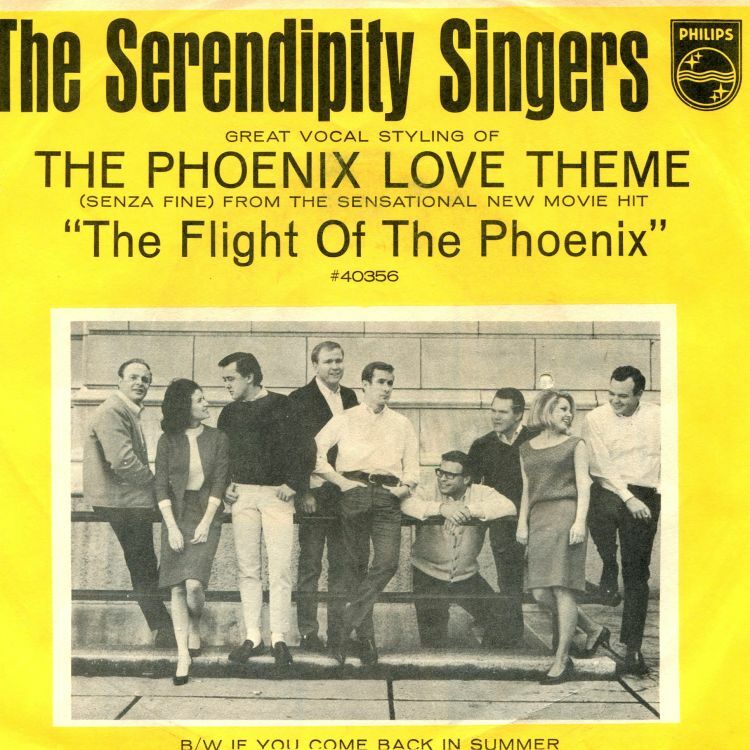 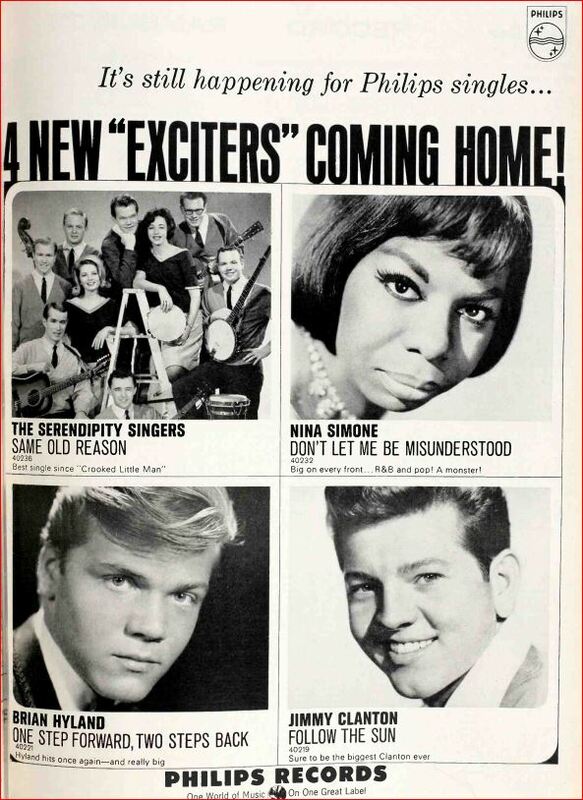 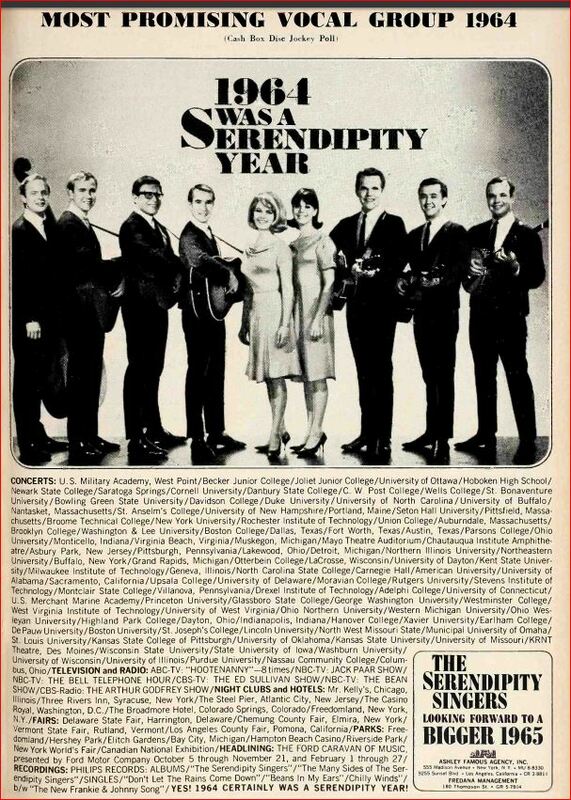 They migrated to the New York folk scene in 1963 performing at the Bitter End and it was in New York where they changed the name to the Serendipity Singers. 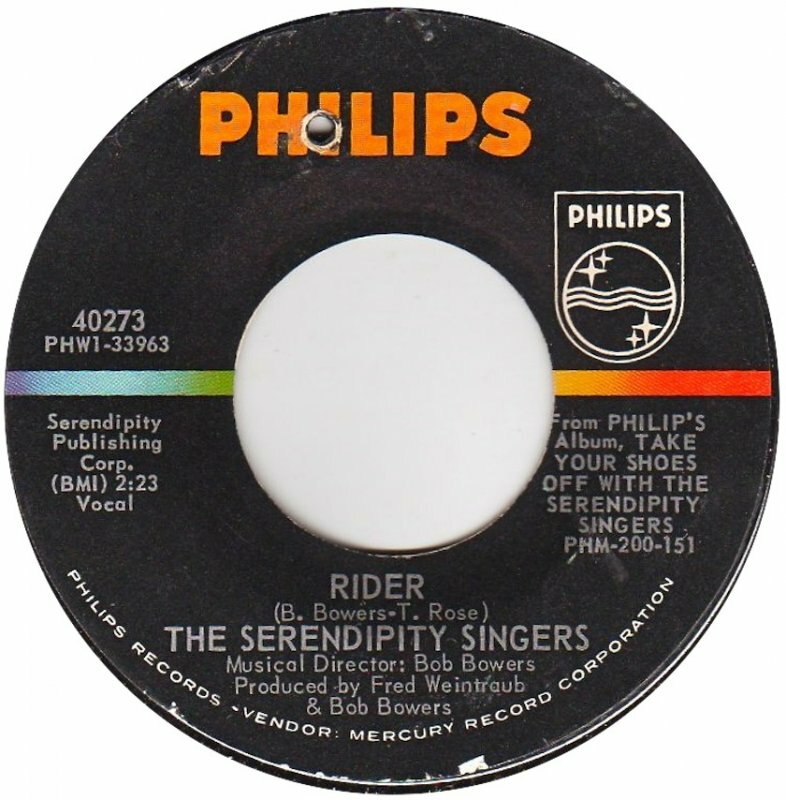 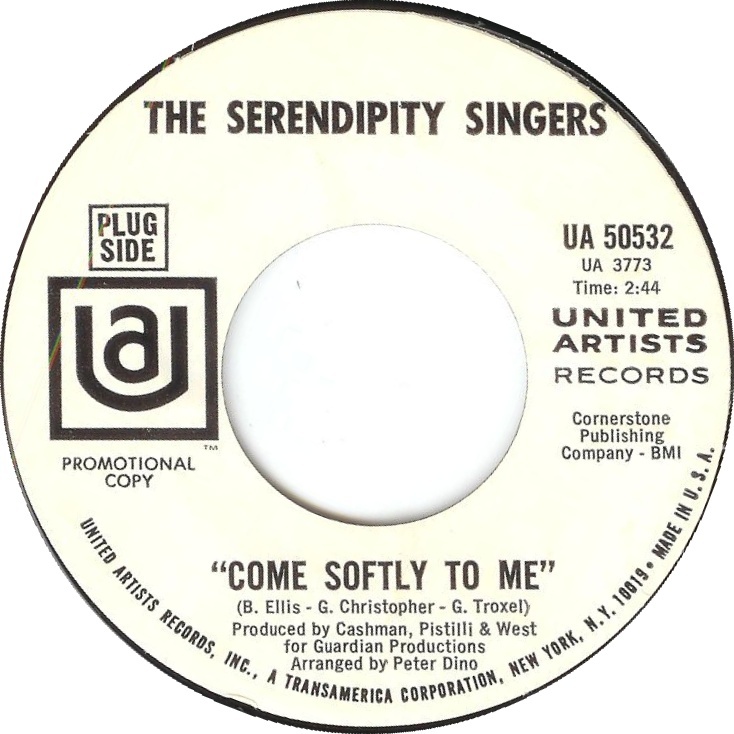 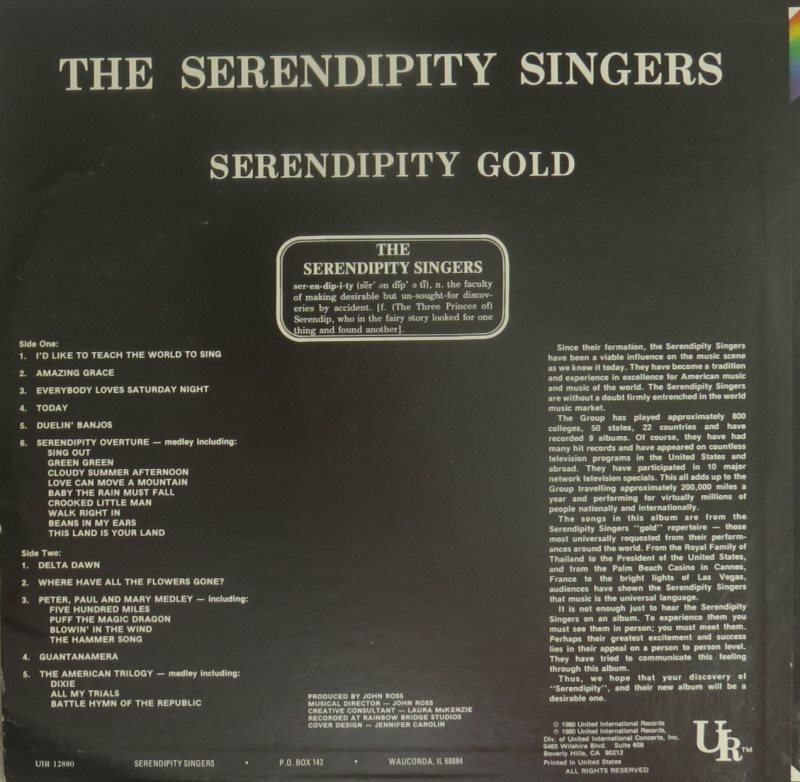 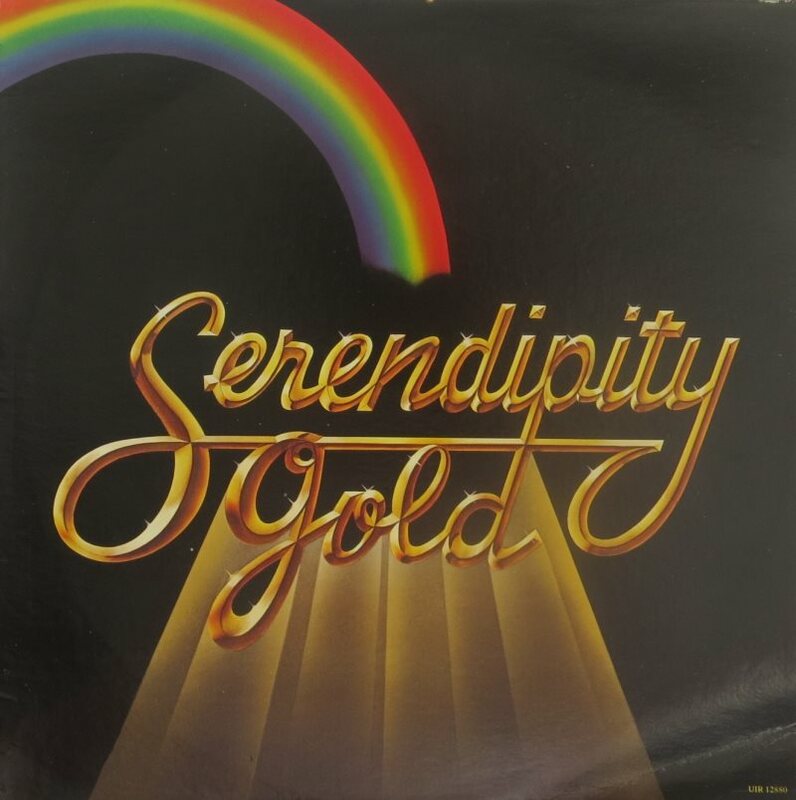 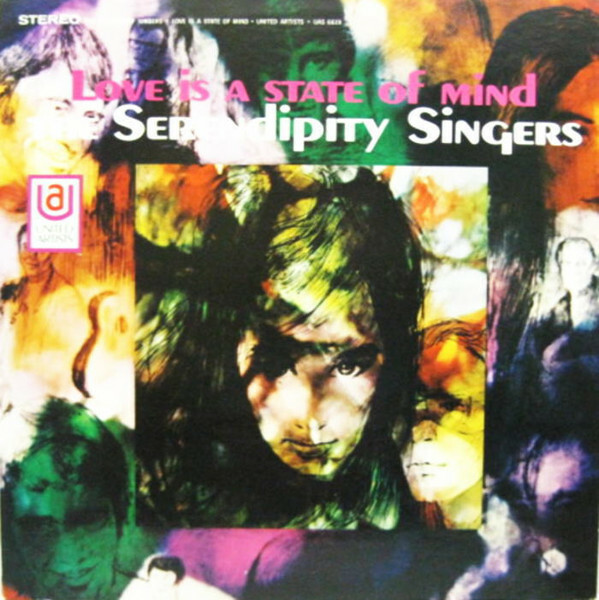 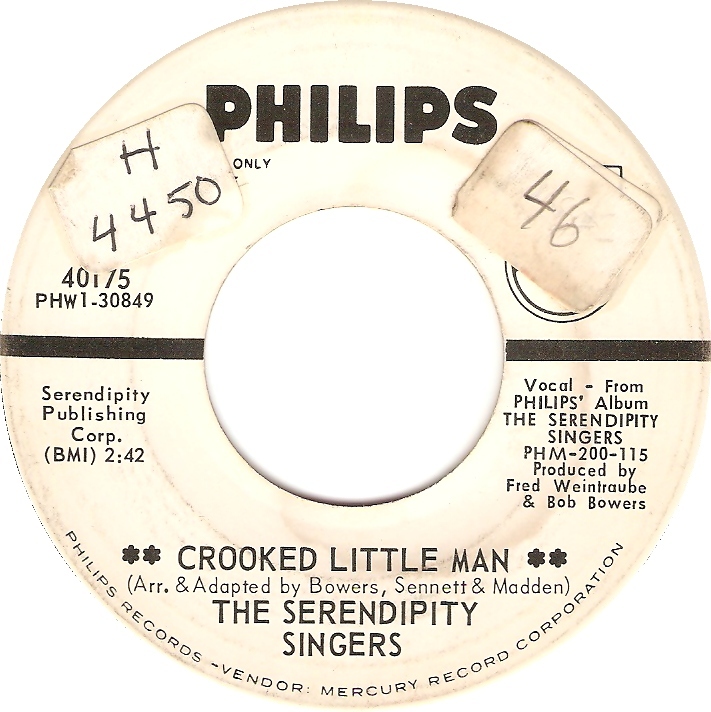 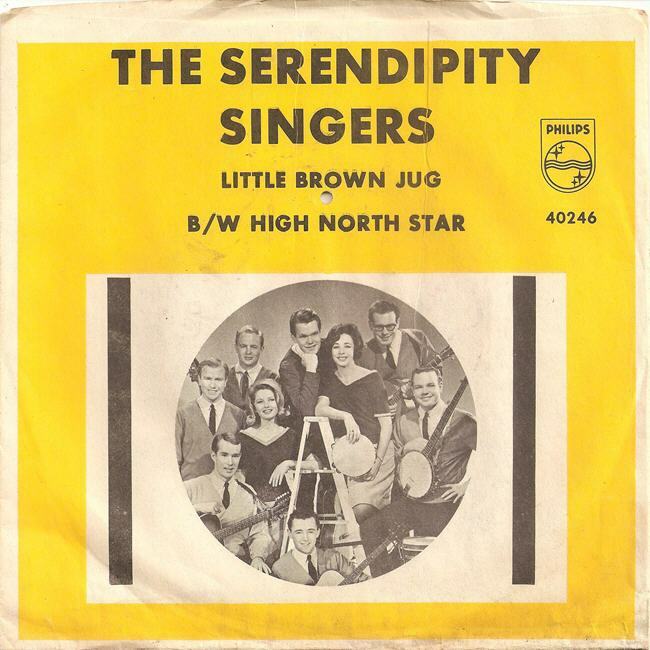 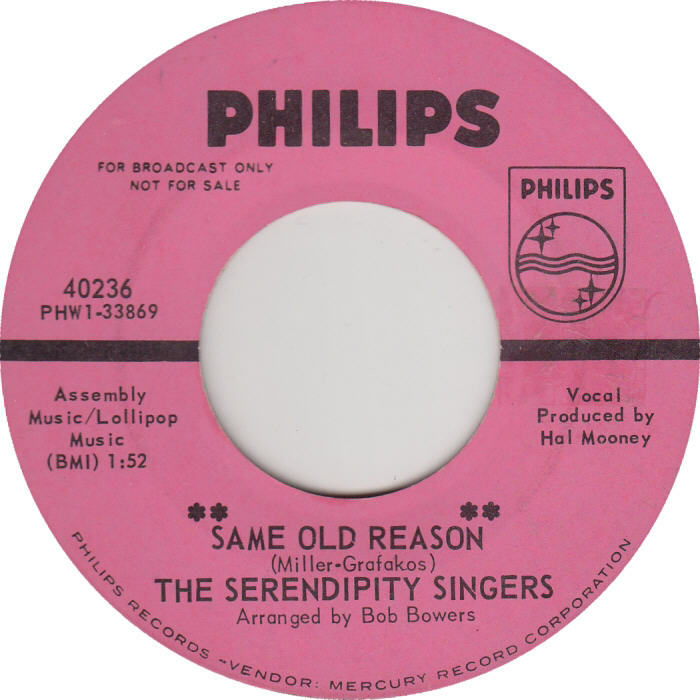 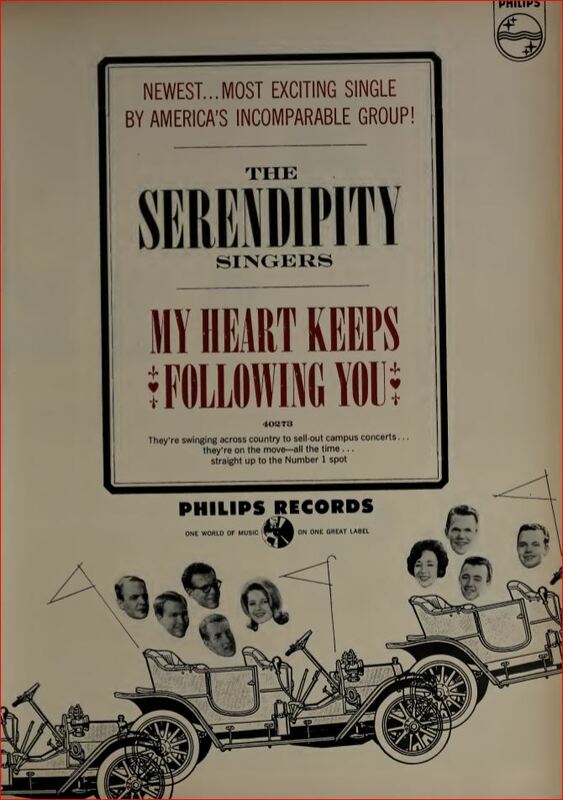 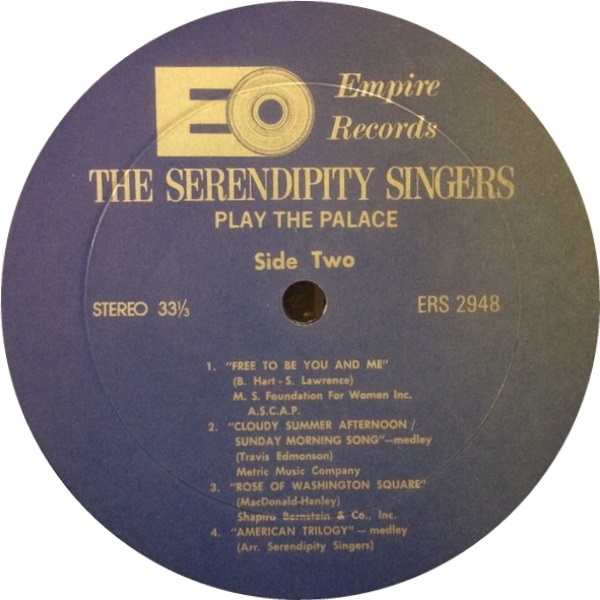 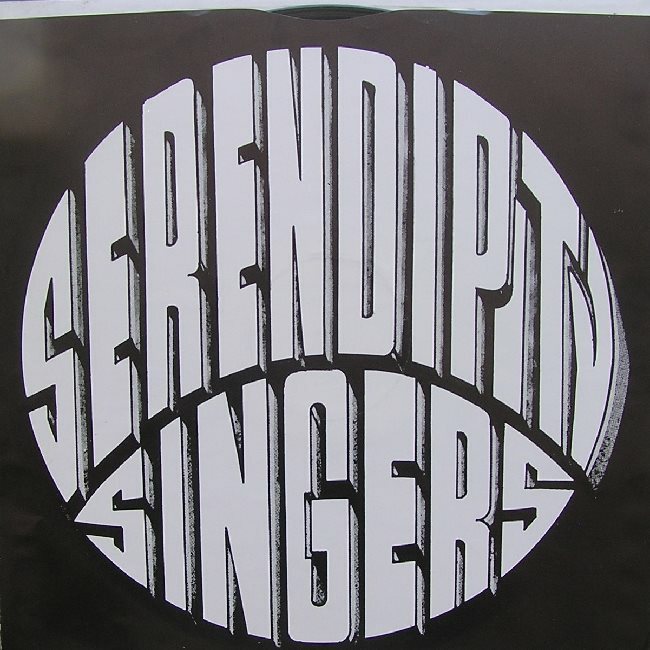 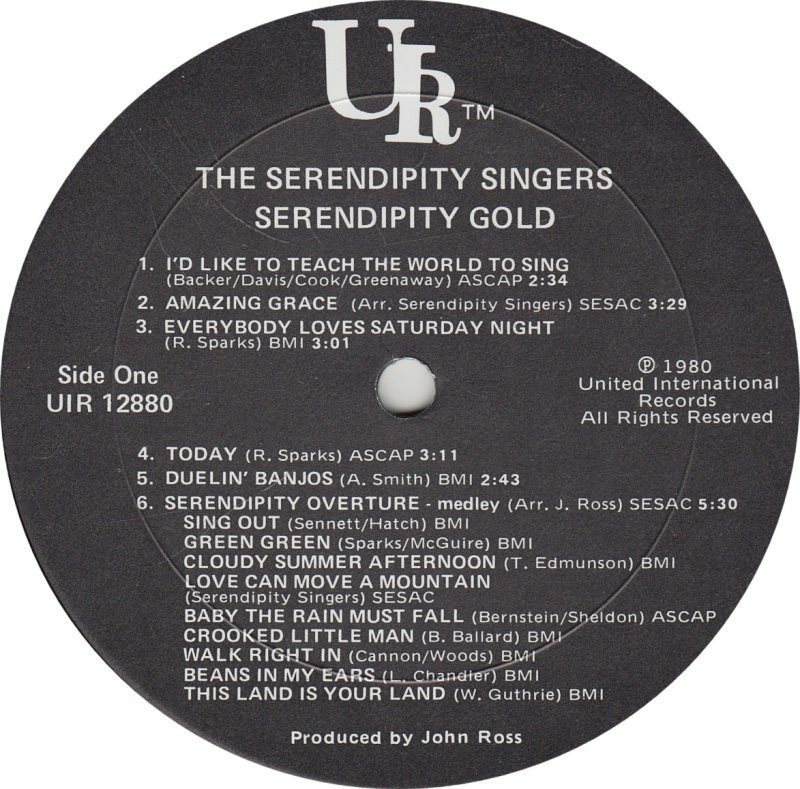 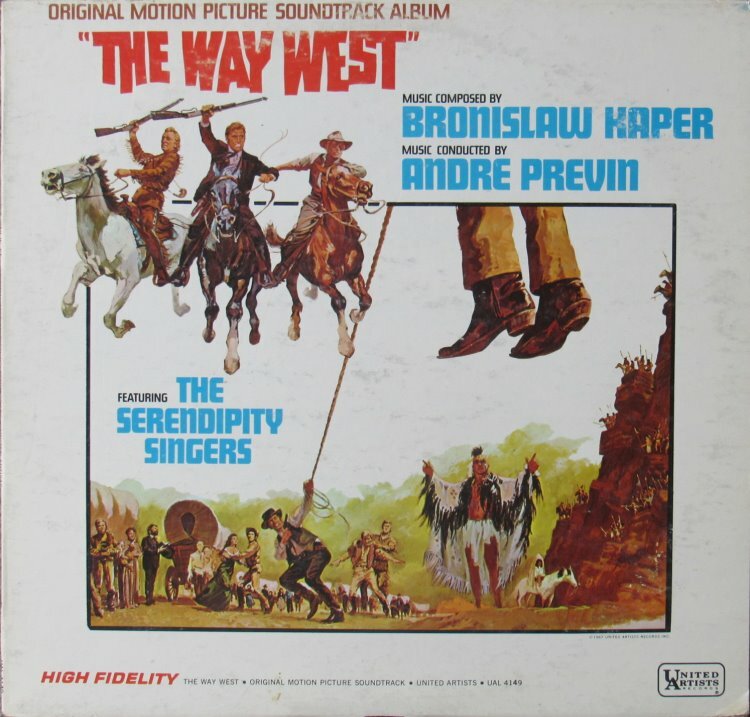 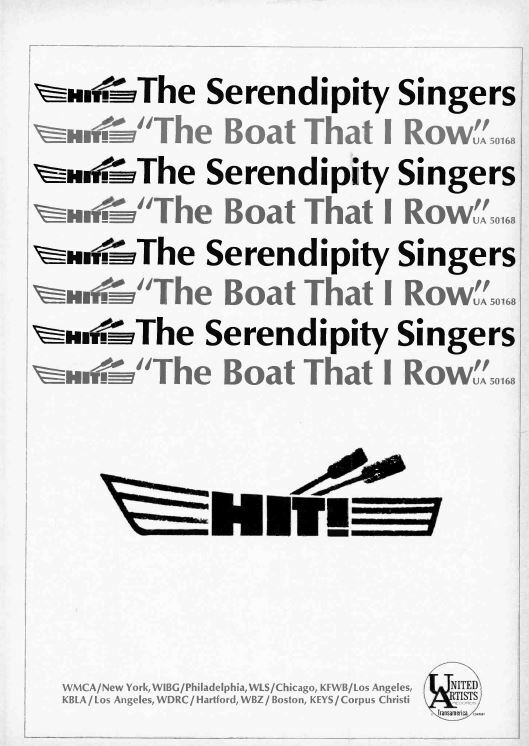 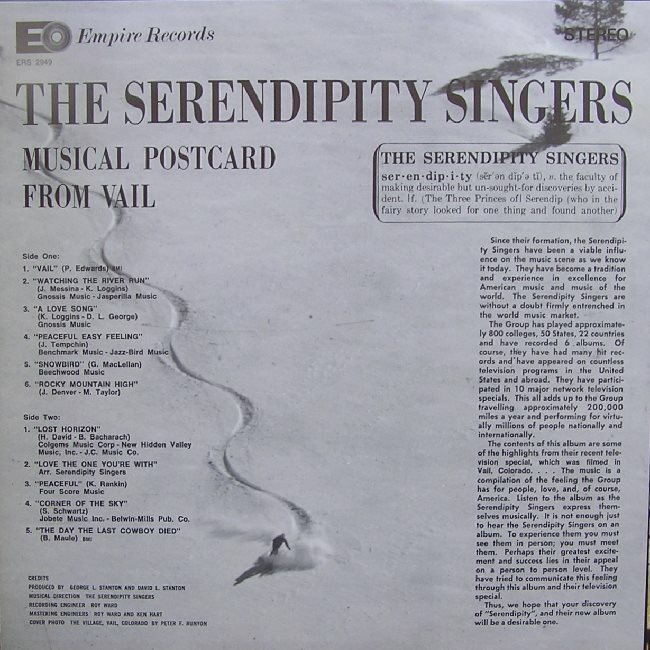 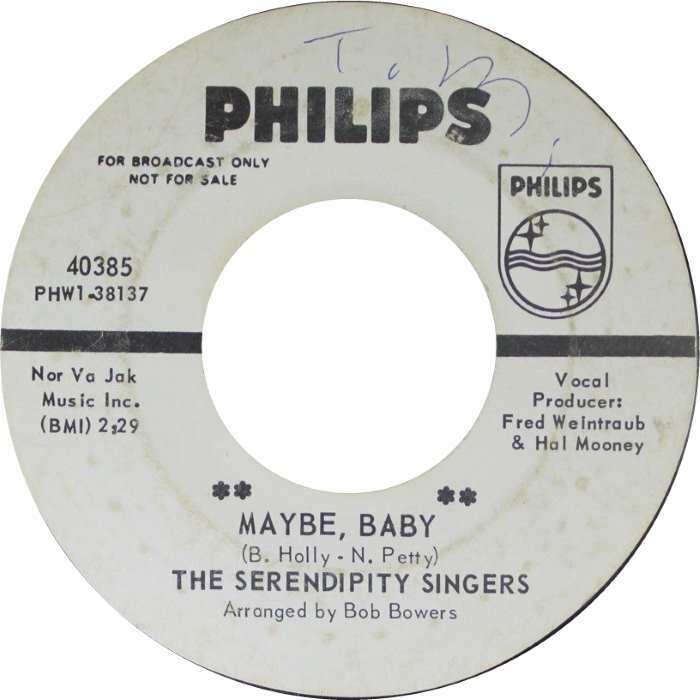 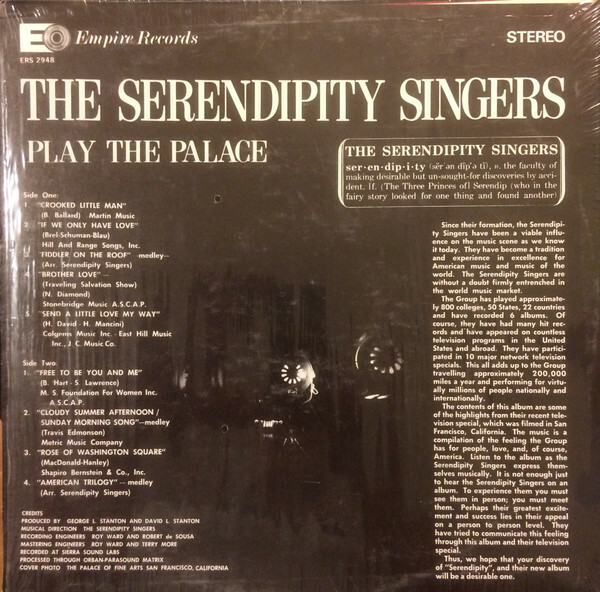 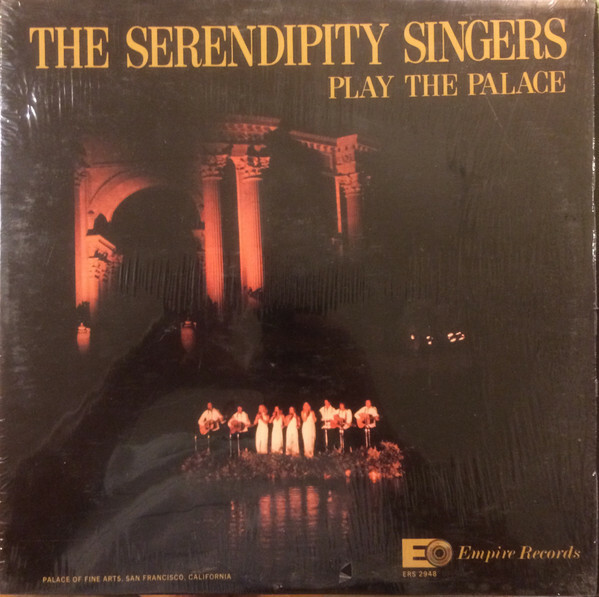 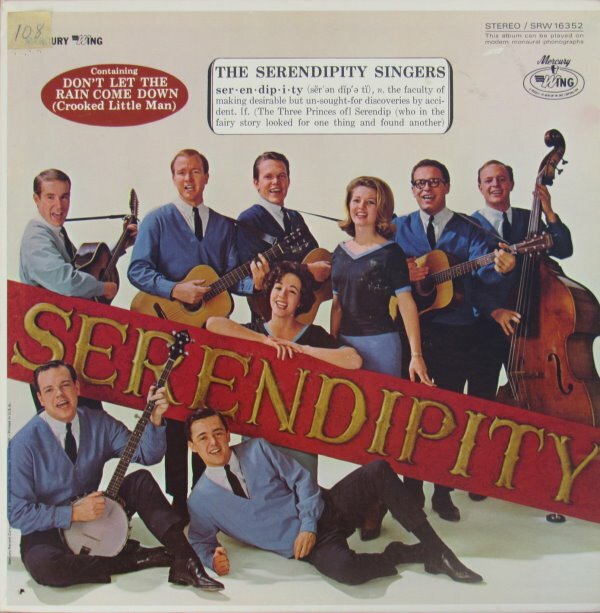 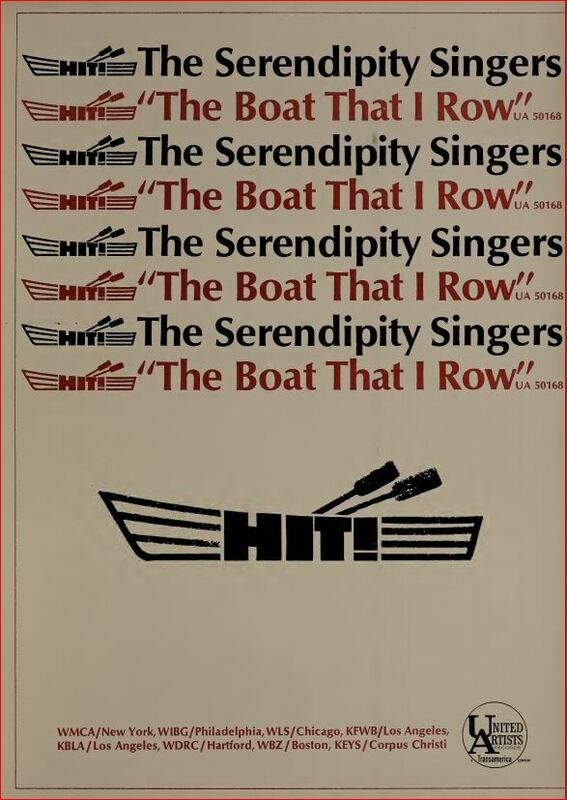 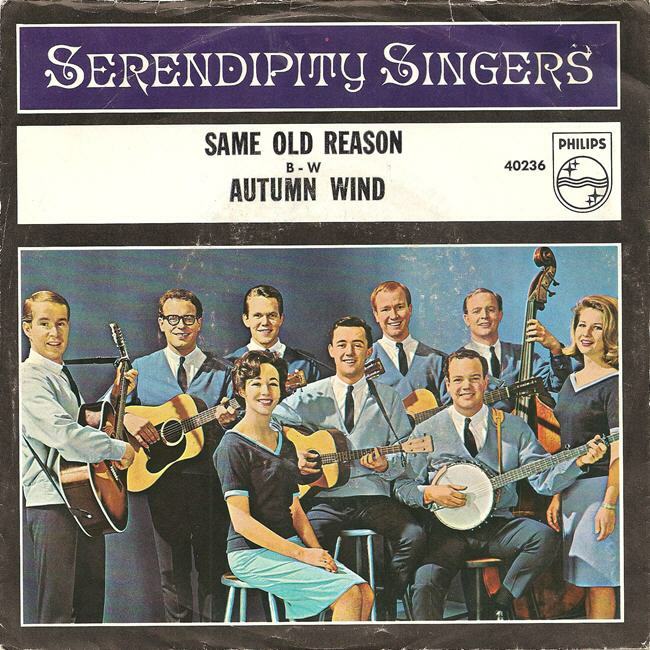 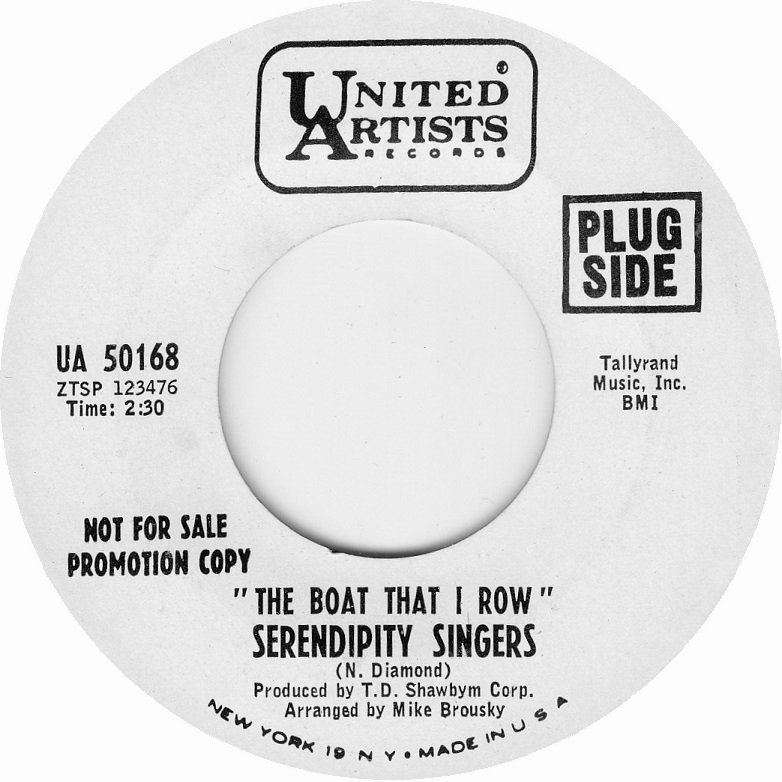 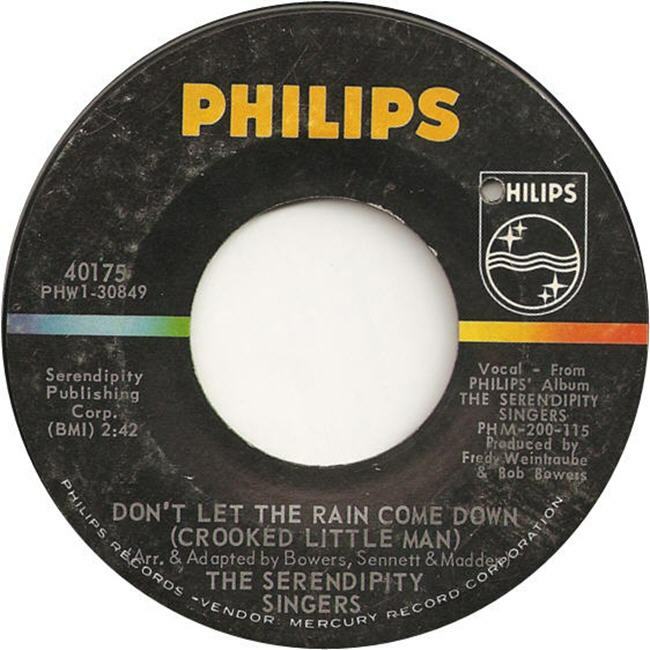 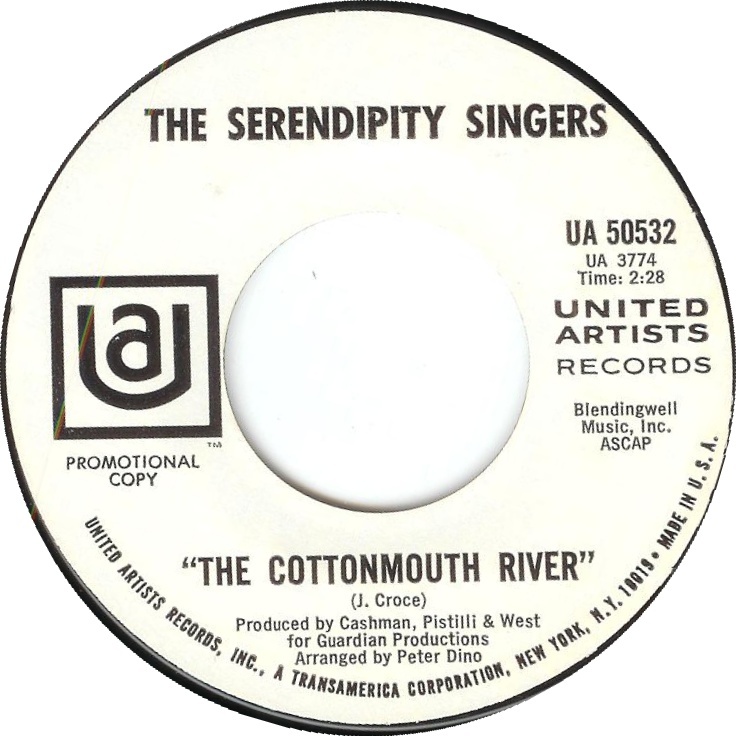 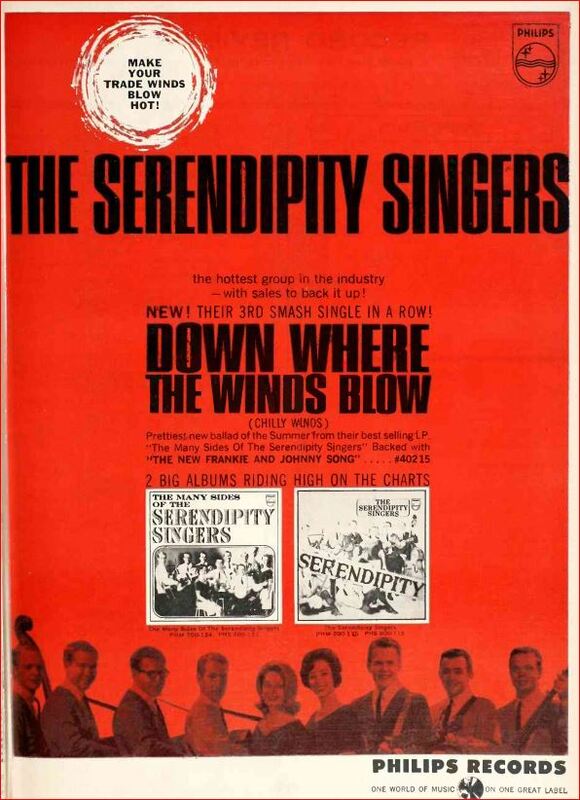 By the early 1970’s all original members of the group had departed and revolving lineups would continue with the Serendipity Singers name into the 2000’s. 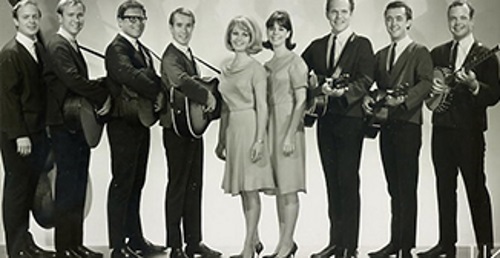 The group was inducted into the Colorado Music Hall of Fame in 2013 with Judy Collins, Bob Lind and Chris Daniels. 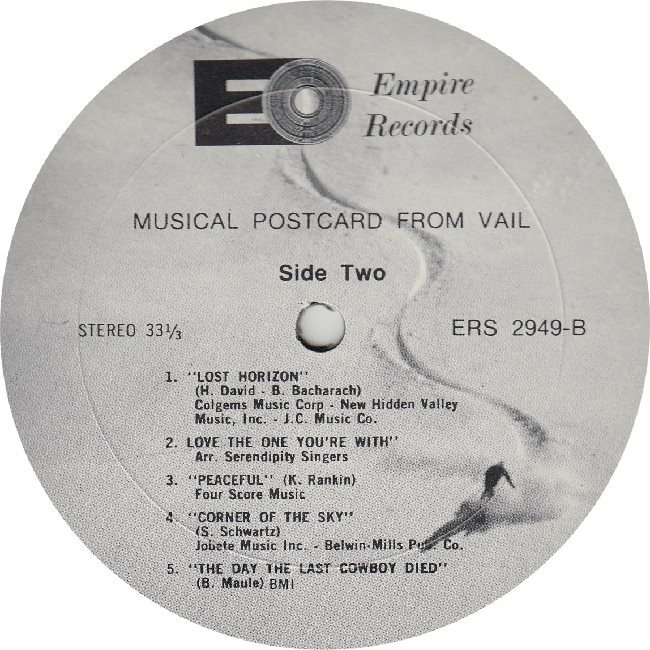 When the glory days were finished they recorded a Colorado based LP on the Empire Label “Musical Postcard From Vail – Not sure which musicians performed on this LP – whether or not it was a reunion effort or by the replacements. 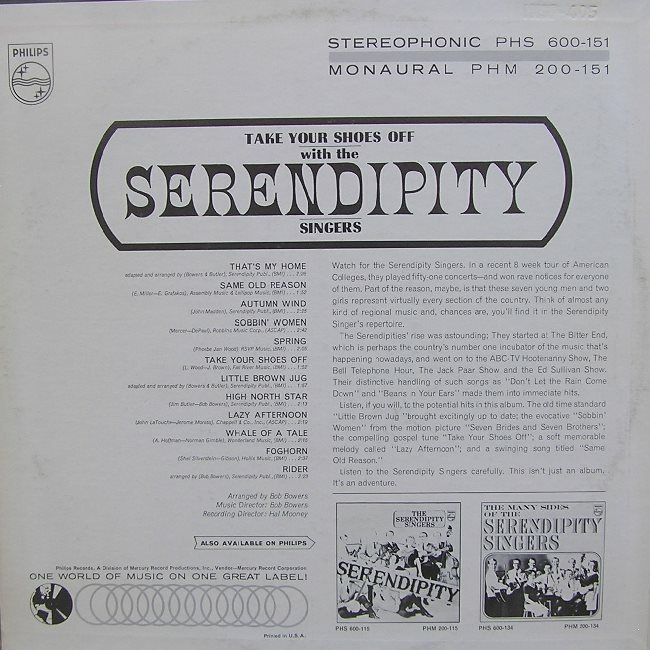 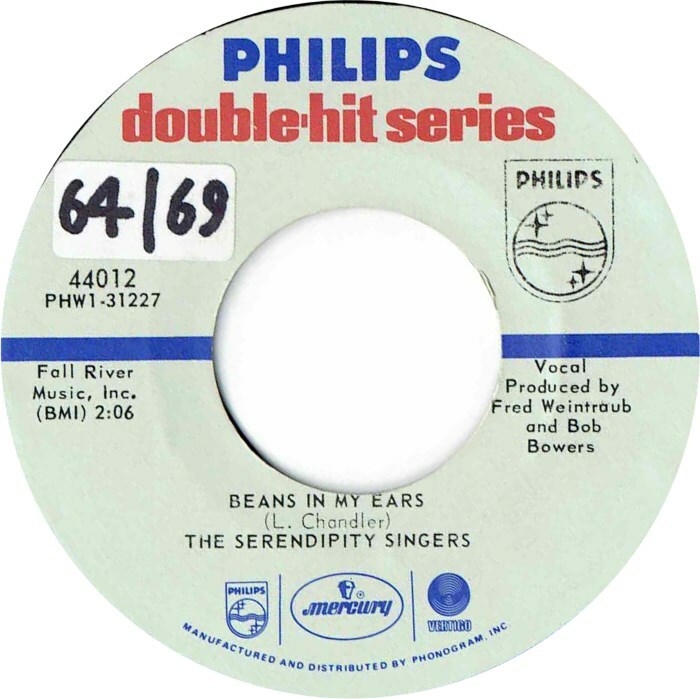 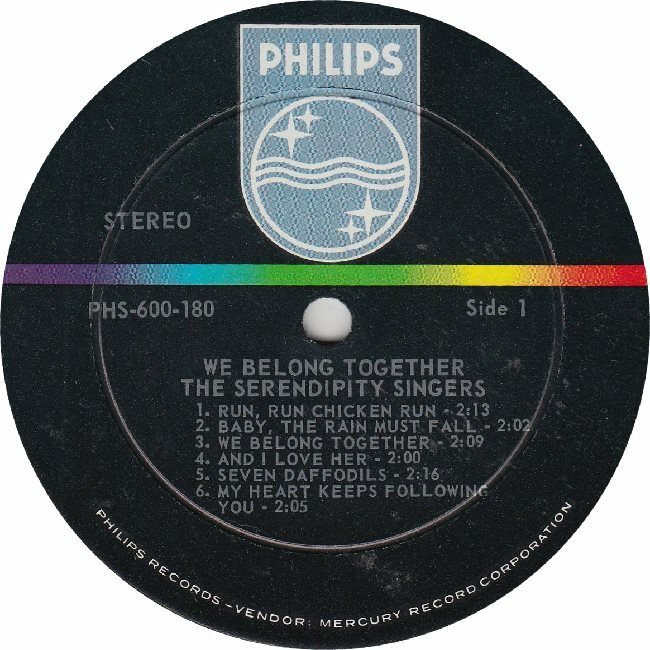 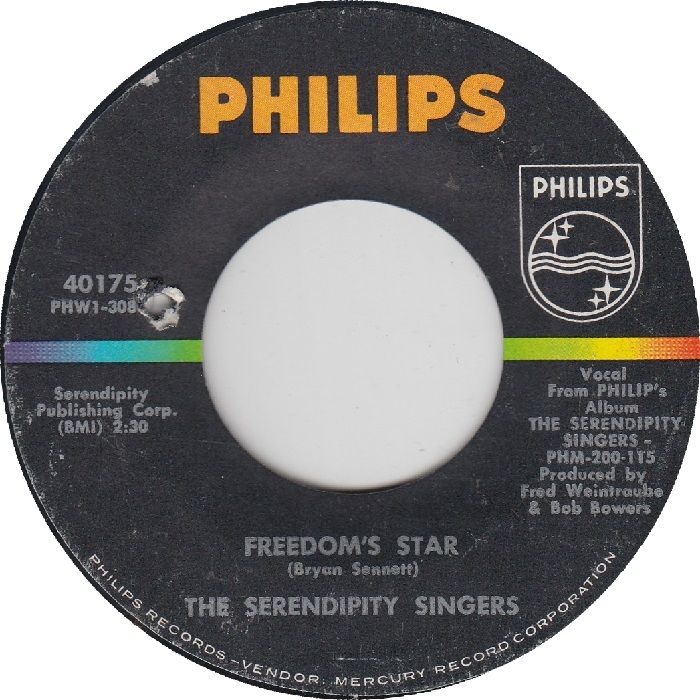 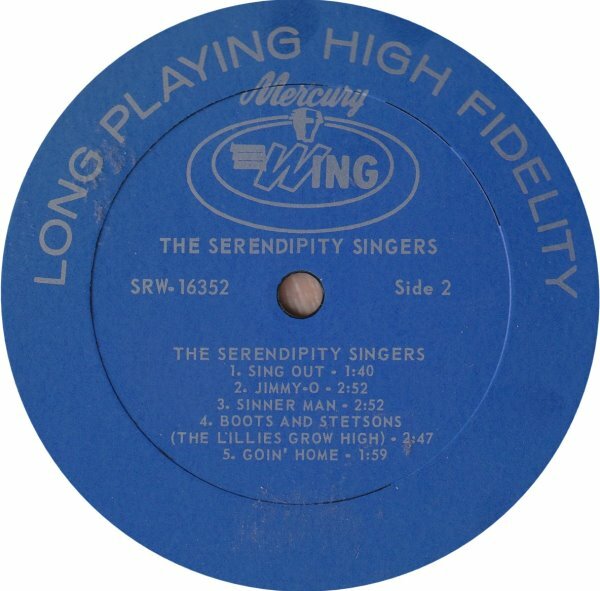 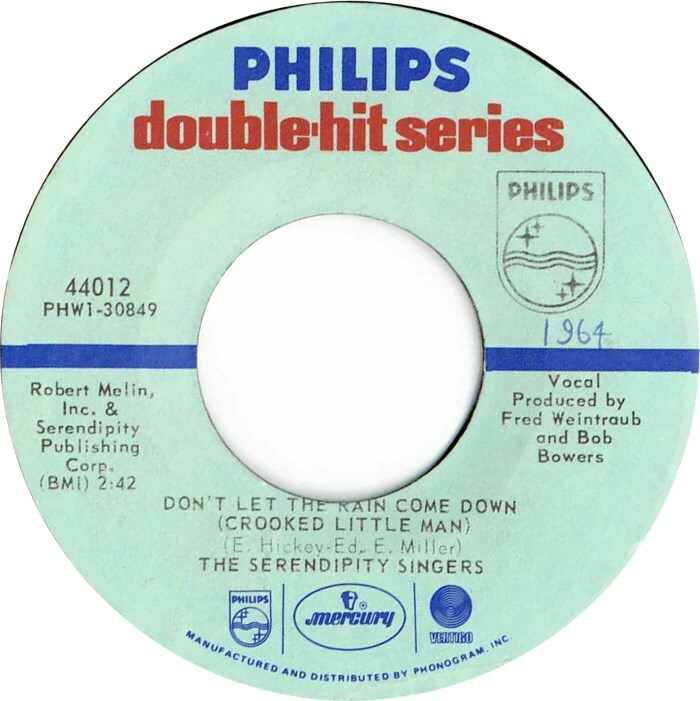 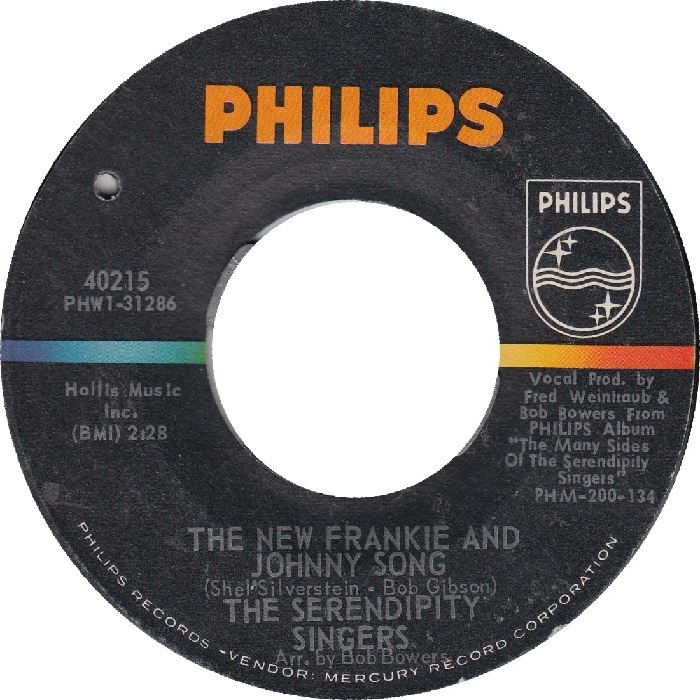 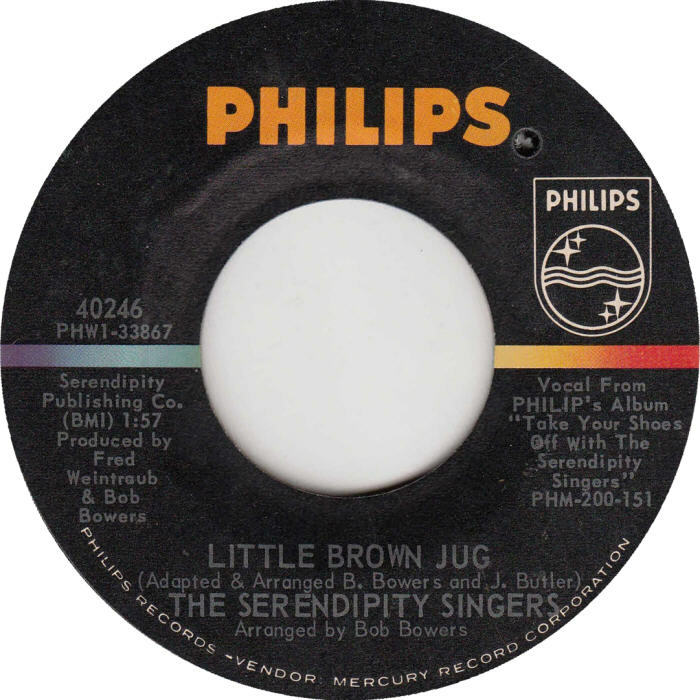 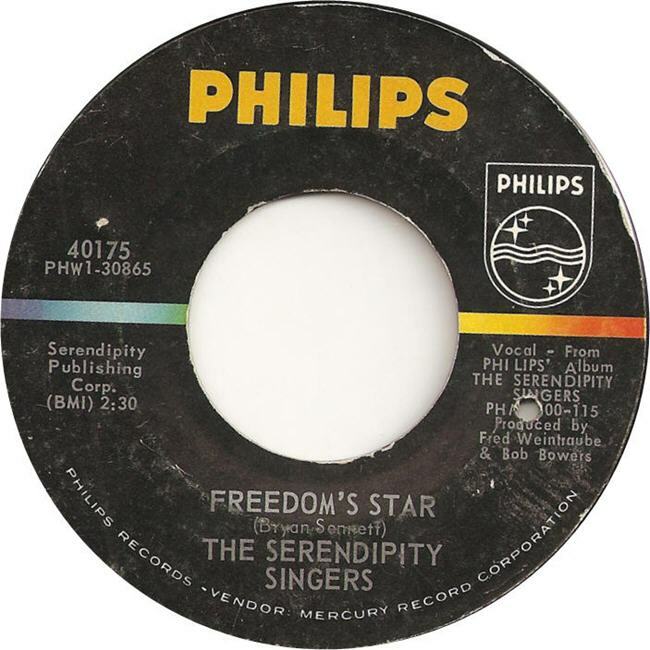 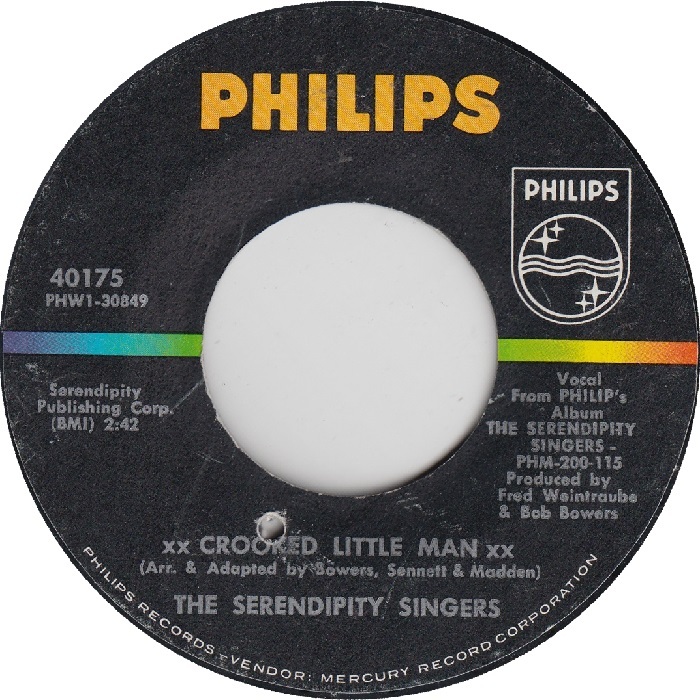 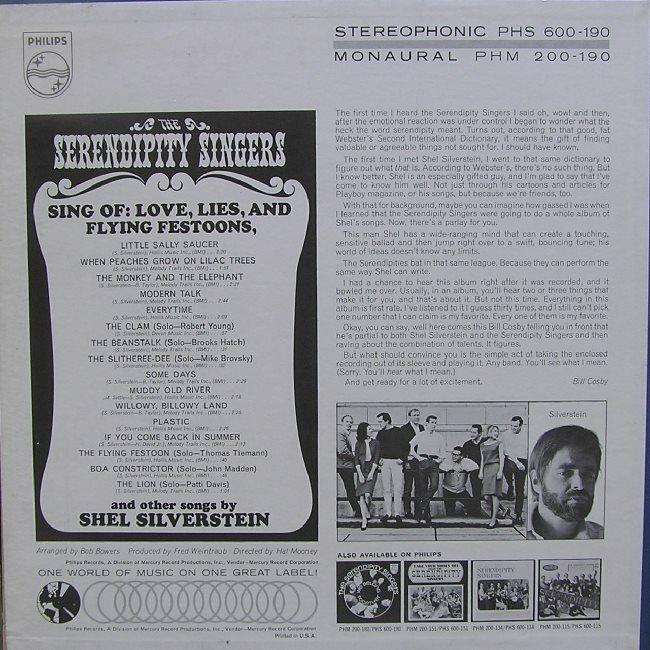 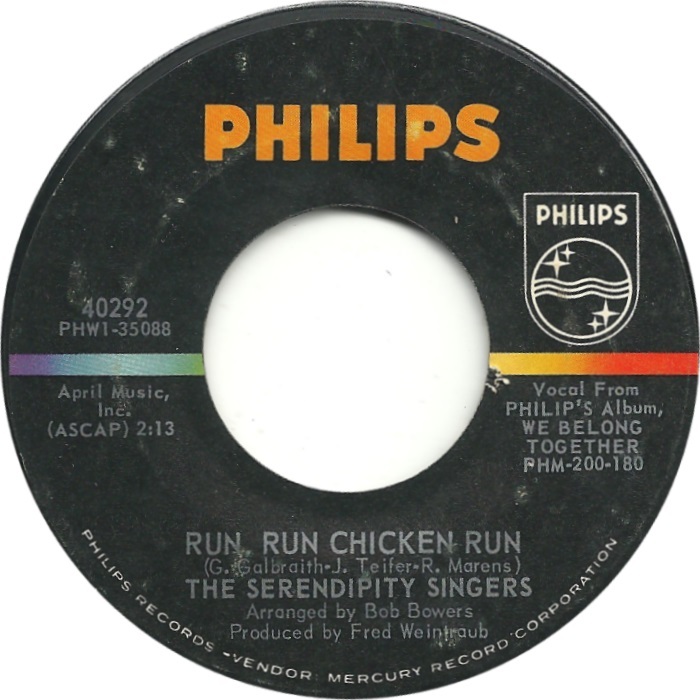 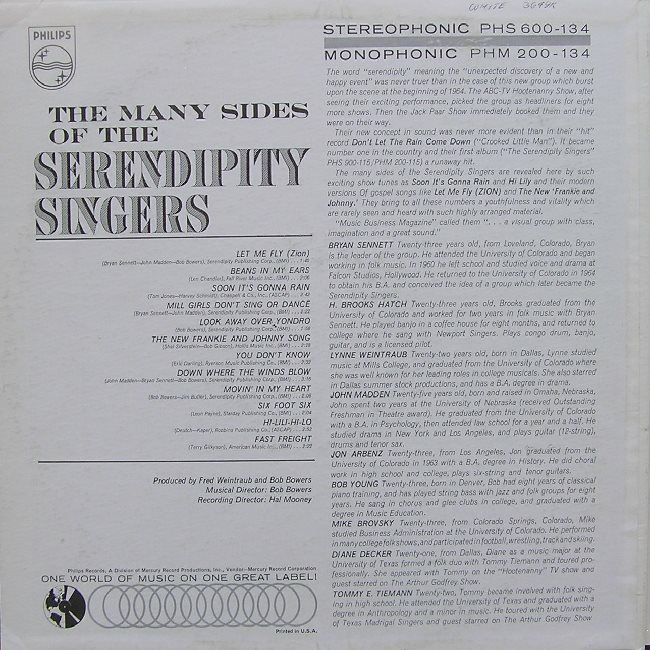 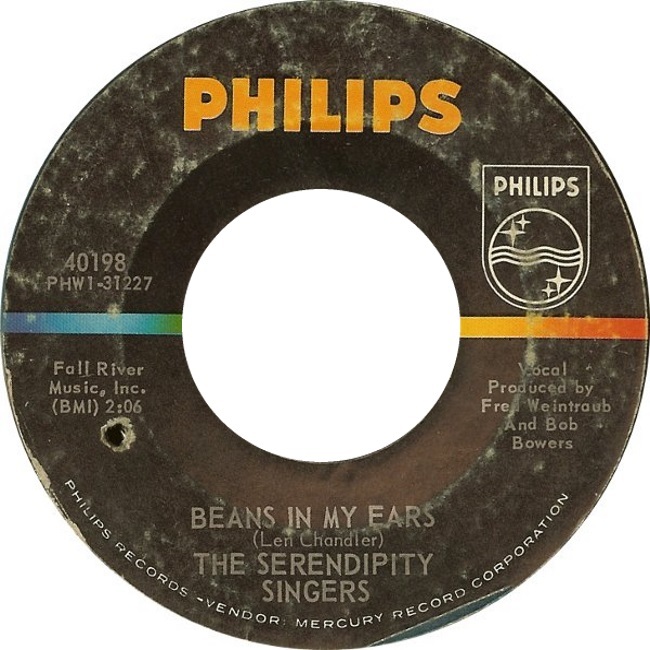 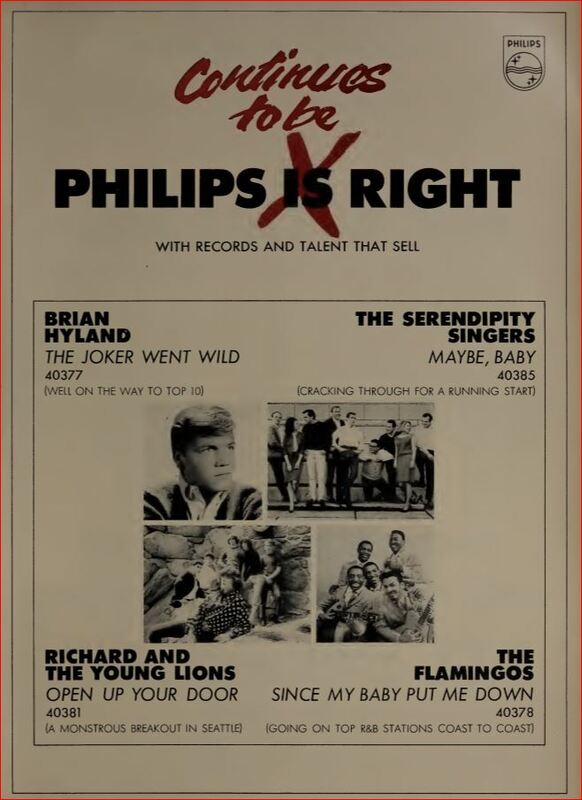 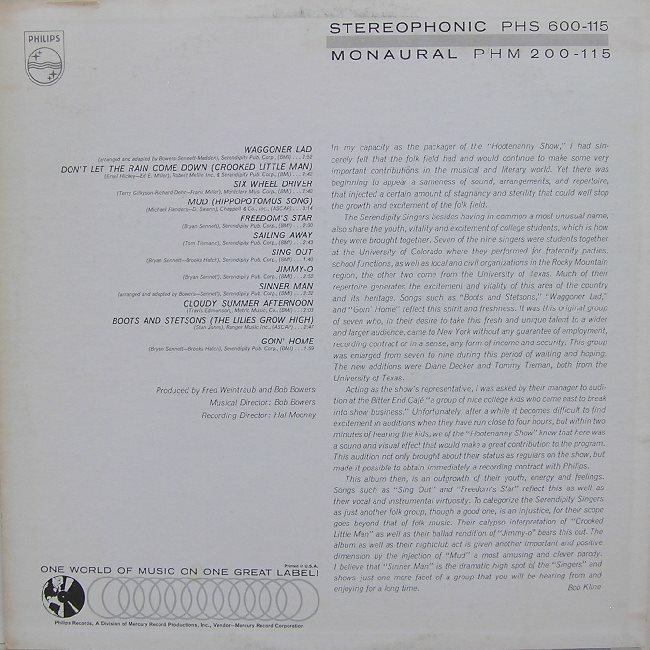 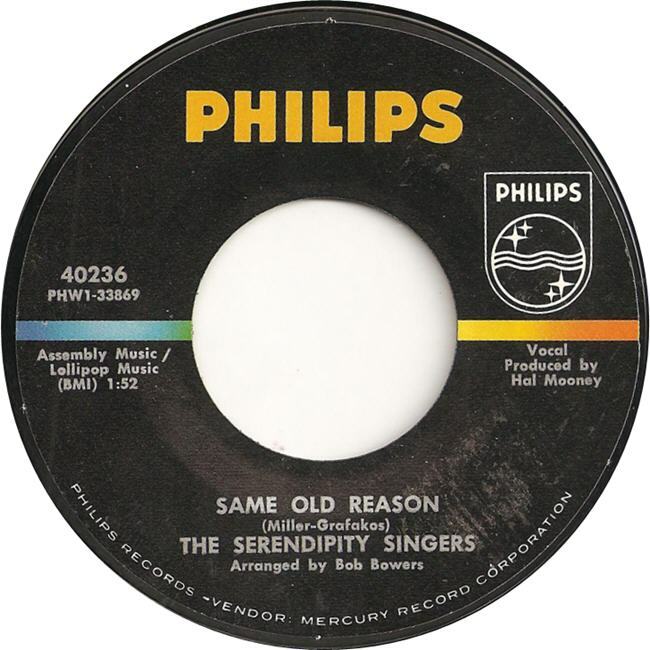 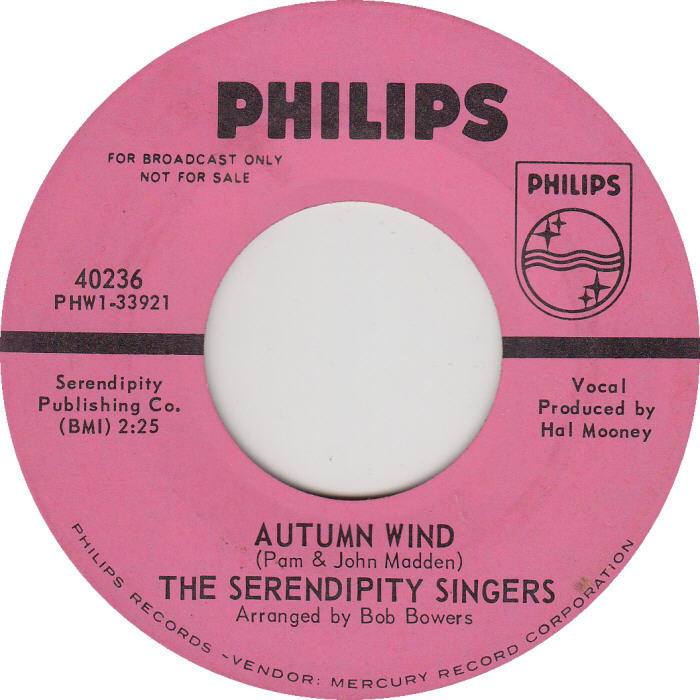 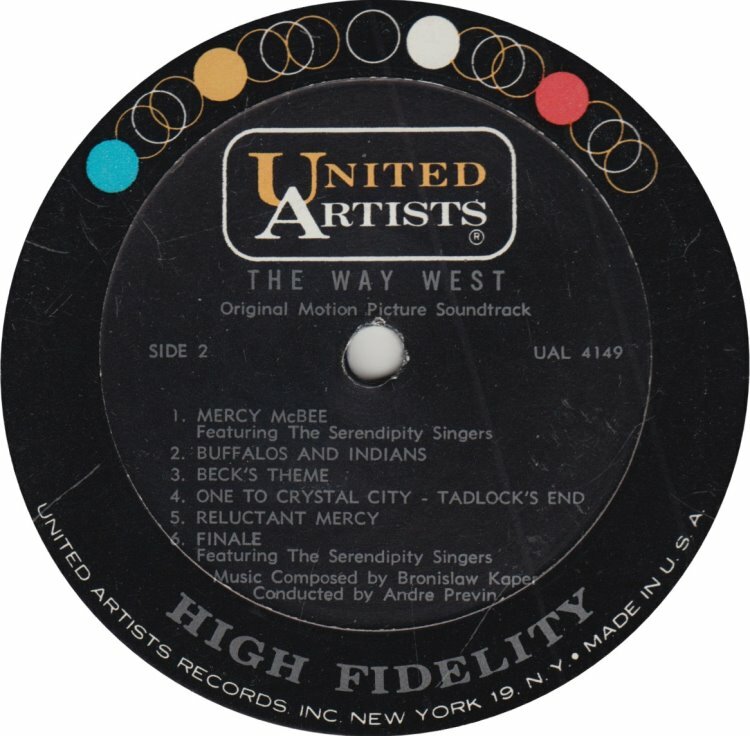 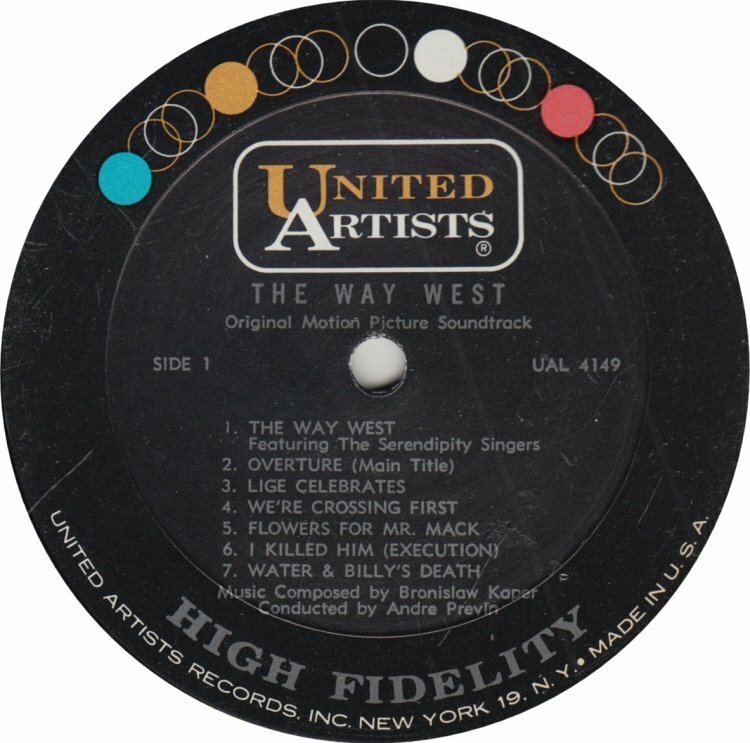 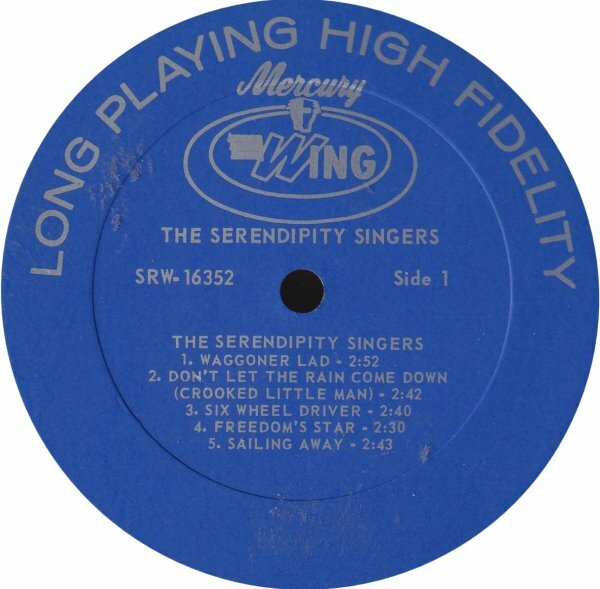 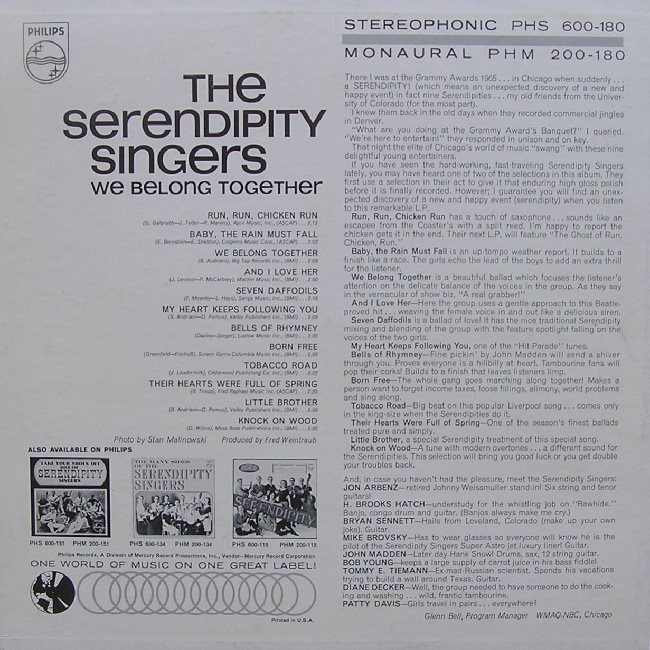 LP – Mercury Wing 16352 – “The Serendipity Singers” – A budget release when Mercury gained access to the Philips catalog. 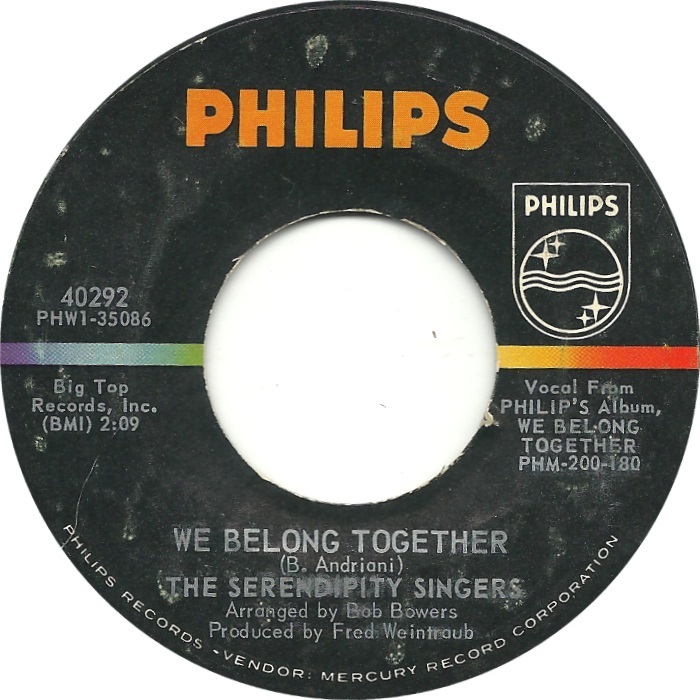 This is a special release cover of the “We Belong Together” LP shown below. 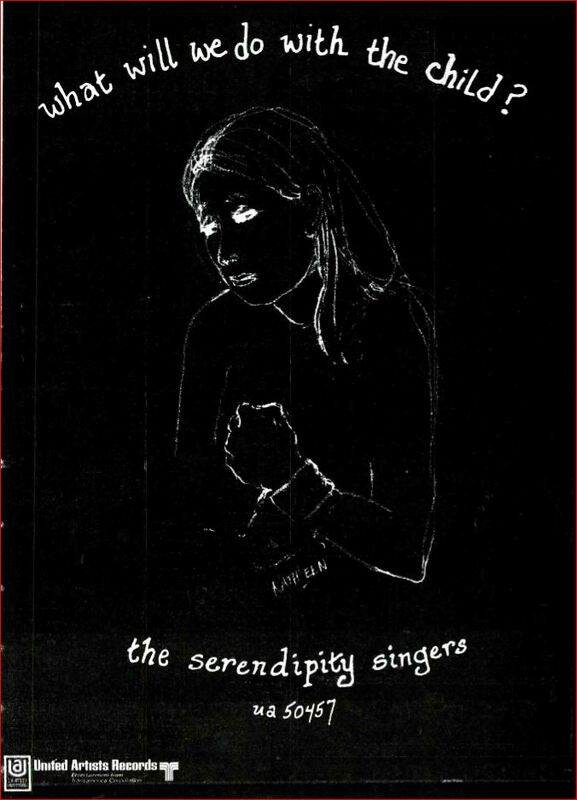 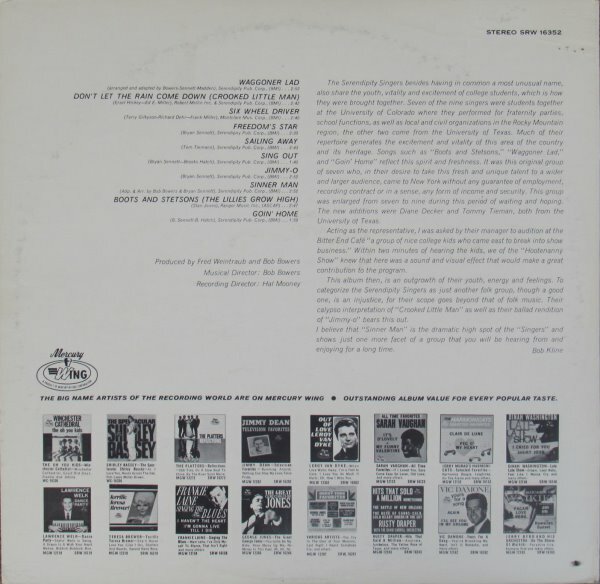 The liner notes state “One of the ‘happening’ sequences find the Serendipitys bowling…. 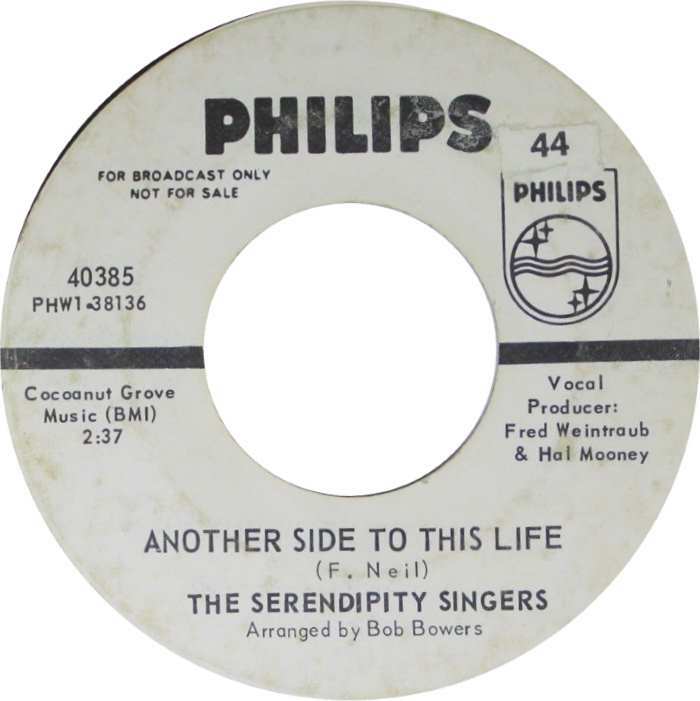 at least one is bowling is and the rest of the group are pins!” And the caption for their photo on the back states “The Serendipity Singers are featured in “Go-Go Bowling Campaign”. 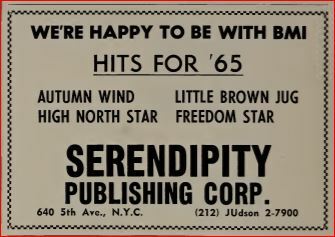 Sounds like a great cause for the turbulent Sixties. 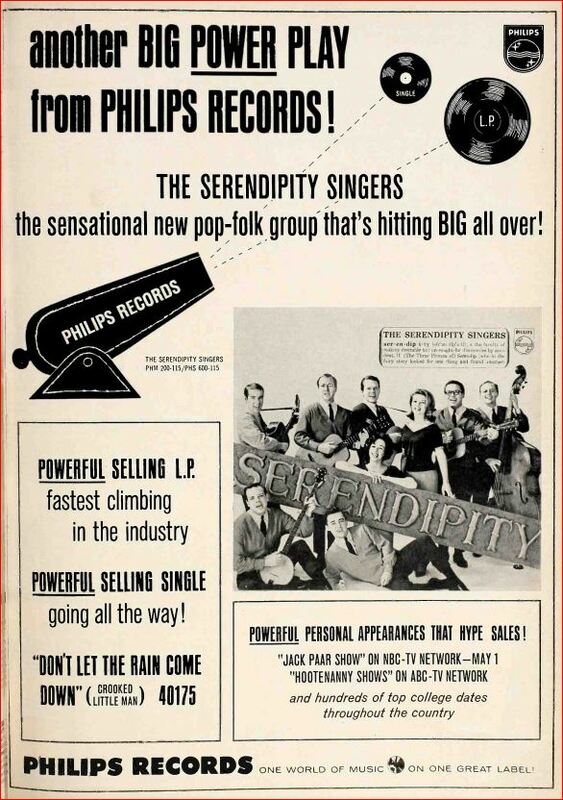 By the time this was released all original members were long gone.